Black Stars defender Baba Rahman has opened up about a number of issues in an interview with Goal.com. The Former Right to Dream Academy Star disclosed how Eden Hazard is known around the club for predicting his performance in matches. The Belgian has had an impressive start to the season after scoring five goals and contributing two assists in the team's five Premier League matches under new coach Maurizio Sarri. The Ghanaian international claims the Hazard’s quality performances sometimes begin with a pre-match prediction and a bit of fun. The 24 year also had some nice things to say about the often critized loan system at Chelsea which he believes is helping become a better footballer. The on-loan Schalke left back however is not ruling out a return to the Stamford bridge in future. "Sometimes before a game [Hazard] told me what he had planned for that game and he always made it later," the Ghanaian told Goal. "He is really a clown. He always makes fun when we are in the dressing room or at dinner. He's a funny guy who always makes people laugh around him. "We don't have to talk much about Eden's qualities, he shows in every game that he is an amazing player." 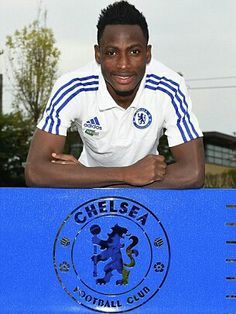 Baba was signed from Augsburg in 2015 by then-manager Jose Mourinho and made 15 Premier League appearances in the 2015-16 campaign, before Cesar Azpilicueta and later Marcos Alonso became preferred options in his favoured left-back role. "As one of the best clubs in the world Chelsea gives many players the chance to fulfill their dreams and become a better football player with that system," Baba said. "Me for example I'm able to play at Schalke in front of 60,000 people regularly now, which helps me a lot in my development as a player." Baba has started two of Schalke's three Bundesliga games this season and says he is focused on the club that has given him an opportunity to play first-team football. "You can never say where football will guide you to. Maybe I stay for the next 10 years at Schalke but I also can imagine playing for Chelsea again," he said. "But at the moment I don't think about these things, I'm really happy at Schalke."